It's often been mentioned to me that 'Wouldn't it be good to have an image of "liking children and animals"? ', but I really do like children. Whatever they say, children are honest, their eyes sparkle, and their purity leads them to believe anything, it's soothing ♥ If I hadn't become an idol, I might have become a kindergarten or nursery teacher. 'Momochi! Yurushite-nyan Taisou' is easy to learn, and it seems that it's really a hit with small kids in particular, I'm secretly aiming for a position as a 'Singing sister' on 'Okaasan to Issho'. It might be because I love children, but I'm really liked by children. 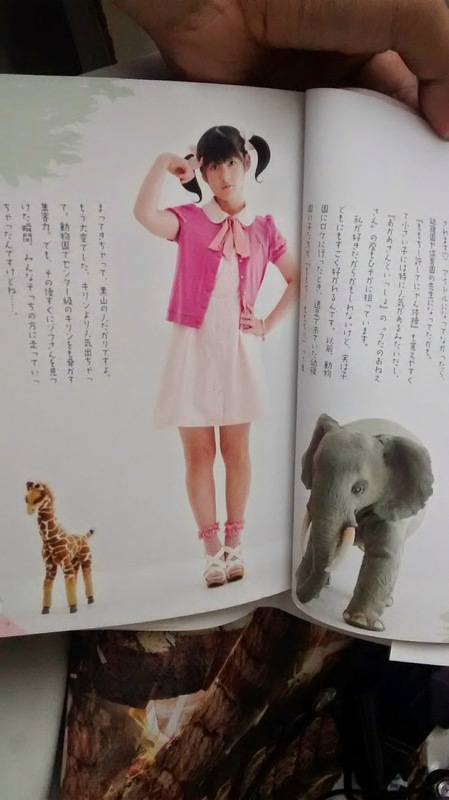 Previously, when I was on-location at a zoo, kindergarten children who were trotting along flocked to me, going 'Momochi! Momochi!! ', it was a dense crowd.